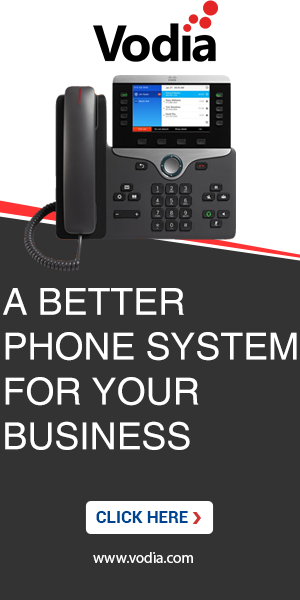 Assuming that to be the case, how could or would you be able to connect to inbound callers together either my accident on the phone in the way you are transferring calls, or could the PBX or phone handsets be doing this with a programming error. blind transfers, attended transfers, ringbacks etc.... and how might we construct the call trees so that users cannot make these mistakes.? Let me add to my investigations, How does the PEER to PEER call completion setting in a SNOM phone affect PBX? Shouldn't this be off, allowing only the PBX to handle call txfers or does this not matter? It could happen on the IP layer already. For example we have seen cases where there was a simple IP address conflict. If you are not using DHCP, I would check this (over and over). But higher probability has that the router might have a limited number of UDP NAT associations available and the last "steals" an older one, so that traffic gets forwarded to the wrong client. If the problems occur only when talking outside of the LAN this might be a hint that the problem is in this area. In this case, the PBX has a public IP address and no router. We are checking with Windstream to determine what UDP ports they support on their SIP trunks. The PBX is using the default values, 49152-64512, or a 15K block, how many ports does a call consume? I also mentioned the Snom Phone Peer-Peer call completion, does this have no affect on the PBX? I assume the remote phones will use their full range of UPD ports, as most firewalls will pass that upper range. Assuming this is not a Router UDP issue from the ITSP, would it seem then that something on the LOCAL lan is interfering with the UPD Port Range? If the default block of 15,000 ports is by far enough ports, I can chop off the top half as a test, and wireshark for UPD activity in that range. Would that seem a likely course of action? Each call takes two ports towards the service provider (RTP and RTCP). 15K should be more than enough. No, the PBX keeps it strictly B2BUA. That could be a source for trouble. Is there any reason for this? This will only work if the OS routing tables have special entries for the ITSP and the default route goes over the interface that is used by the phones. "route print" would be interesting here (changing the IP addresses in the response to obscure the original one is perfectly okay here!). Yes, that should be no problem unless someone actively messes with it. I would think that the service provider has no problem with the UDP, otherwise other customers would scream very quickly. The local LAN should also be no problem as this happens only when the ITSP is involved. 15000 ports is definitevely enough, no need to search in this area. Perhaps we could have other users post the same information in SIP Provider Forums. I'll report this so that it can be easily found. The Interface on the Windstream SIP trunk does not have a default route. Instead we have a persistent route for the the Registration/Proxy IP address to go out what would normally be the default route on that interface. The other WAN facing IP is a static IP in a business comcast address and has the only default route. We have IP access allows for the remote offices public facing IP addresses and internal IP ranges where remote phones are registered. I do not see a range for the ITSP SIP trunk, but problems there would be a total outage. What logging might capture the error? The persistent route seems to be the right approach for this. It is interesting, because this is a way to ensure that (no matter what is going on with the other public IP interface) you can ensure that the quality of service on the ITSP trunk is good. If the problem was fixed by choosing a different RTP port range then that's a solution to me. We've had no reported cross connects since aligning the SIP ports with the usable port ranges used by Windstream. however, the call count is down from it's peak and we have an unresolved issue created on another post related to forwarding calls from one hunt group to another with an Autoattendant in the middle. Hopefully they are two distinct issues. Thanks.